Titled "Indira Gandhi: A Life in Nature", the book showcases how Indira led India to the path of conservation and made it a priority of economic development. Thiruvananthapuram: Former Environment Minister Jairam Ramesh's book on Indira Gandhi, which showcases the former Prime Minister's lesser known traits as a conservationist, will be released here tomorrow. Congress veteran A K Antony will release the book by giving a copy of it to eminent poet and environmentalist, Sugathakumari at the Press Club in Thiruvananthapuram. A host of dignitaries, including CPI state secretary Kanam Rajendran, Opposition leader in the state Assembly Ramesh Chennithala, V T Balram MLA, Gandhian P Gopinathan Nair and former Chief Secretary C P Nair are expected to take part in the function. Kerala Pradesh Congress Committee and city-based Bodheswaran Foundation are jointly organising the book releasing event, a foundation release said. At the national level, the book was released by Congress president Sonia Gandhi at the Indira Gandhi Memorial in the presence of former ministers, bureaucrats and environmentalists last week. 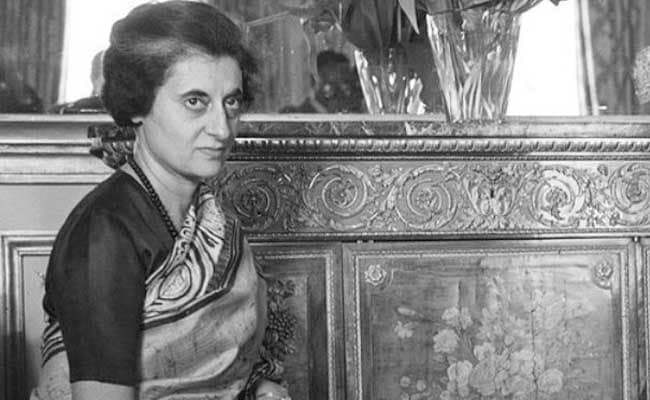 The 488-page book was launched to mark the birth centennial of Indira Gandhi. Earlier, President Pranab Mukherjee described Indira Gandhi as the "most acceptable" prime minister of a democratic country till today as he recalled her decisiveness while giving a subtle message to the present Congress leadership. "She was one of the remarkable personalities of the 20th century all over the world. And to the people of India, even today after her passing away, she is the most acceptable ruler or prime minister of a democratic country. Even today," Mr Mukherjee said.